The Bottom Line is a 60 wt. lint-free filament polyester. it is a versatile thread which can be used in many applications. 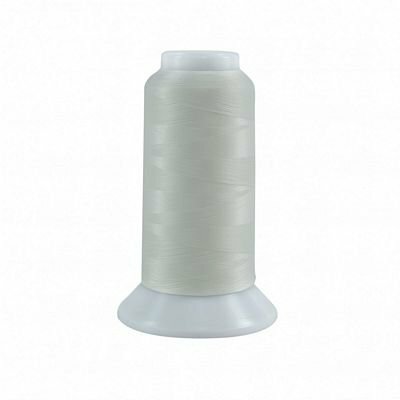 It is ideal for hand and machine applique detail quilting, embroidery, bobbin thread, binding, and much more!It is a wonderful thread choice for micr stippling.Its silk-like finish allows it to slide, not grab, to form the perfect stitch. Available in 55 colors. 3000-yard cones, purchase by the cone.